Independently released games are not the only source of life for Sega’s hardware. Re-releases of Sega’s consoles have also helped gamers keep playing their favorite titles. 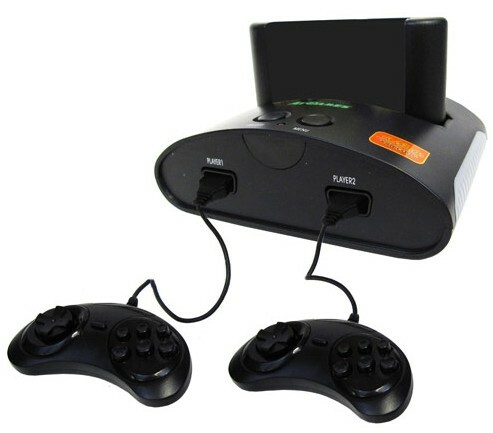 The Firecore is a clone of the Sega Genesis and even has the blessing of Sega’s license. Is the Firecore worth your time, or are you better off getting the real deal? Find out after the jump. With the Firecore, you can even play with this controller. Upon seeing the Firecore at my local swap meet, I initially shrugged it off as yet another clone trying to play off the memories of retro gamers. I released my skepticism as I wrapped my hands around the demo controller. It feels nearly the same as the Genesis six button controller, albeit a bit smaller. The controller felt especially amazing when I took the Firecore home and popped in Street Fighter II and Eternal Champions. If you are a Genesis purist, you even have the option to swap out the Firecore controller with an authentic Genesis controller. Shinobi III comes built-in with the Firecore. I was also drawn to the Firecore by its built-in games. With 20 games to choose from, it feels like a great value. Though many of these games can be found on Sega’s countless Genesis collections and re-releases, nothing beats playing these titles with a Genesis controller and not having a plethora of cartridges to worry about. The built-in titles include Alex Kidd in the Enchanted Castle, Alien Storm, Altered Beast, Arrow Flash, Columns III, Crack Down, Decap Attack, Dr. Robotnik’s Mean Bean Machine, Ecco the Dolphin, Ecco Jr., ESWAT, Flicky, Gain Ground, Golden Axe, Jewel Master, Kid Chameleon, Shadow Dancer, Shinobi III, Sonic & Knuckles, and Sonic Spinball. You can finally play Wily Wars without modding or emulating. Import lovers will be glad to know that the Firecore has an NTSC/PAL switch. This alleviates the issue of trying to mod a Genesis and expands the console’s already massive library. I have yet to try out an import game, but love that I have the option available the next time I locate an import at my local thrift store. Audiophiles should be aware that the biggest problem I experienced with the console is its audio. Games with elaborate soundtracks, such as Sonic 2 and Gunstar Heroes, sound like a synthesized mess. 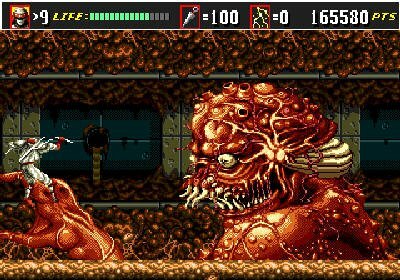 I was disappointed that the Firecore was able to emulate so much of the Genesis’ amazing qualities while having an inferior sound chip. Thankfully sound issues are less prevalent with simpler soundtracks, such as many of the tunes from Kid Chameleon and Golden Axe. Add-on enthusiasts and Night Trap fans will also be disappointed to hear that the Firecore is not compatible with the Sega CD or 32X. Thankfully, this feels like less of an issue when one thinks of the massive amount of NTSC and PAL Genesis games to choose from. Overall, the Firecore feels like a loving tribute to the Genesis. The ability to play import games and to swap the controllers out for their genuine Genesis counterparts helps the console standout amongst a sea of mediocre clones. I was able to locate mine for $25 at my local swap meet. That’s not a bad deal considering that it comes with 2 controllers, 20 games, and can play your Genesis cartridges. For those without a Genesis, the Firecore’s built-in games and cartridge compatibility are an excellent way to get your Genesis library started. If you are able to overlook some occasional butchered songs, the Firecore will make the perfect addition to your retro collection. Here's some ToeJam & Earl Vintage Collection screenshots just for you! I’d really like to see someone make a third party console that can play all the Genesis, 32x, and Sega CD games. Not only does hooking all the systems together take up way too much room and outlet space but a lot of Sega CD’s I’ve been around don’t work that great any more. Plus, getting a SegaCD system off of eBay ain’t too cheap.